This post is sponsored post by Mirum Shopper. All opinions are, as always, 100% my own. Thank you for supporting the brands that make The Two Bite Club possible. Easy Homemade Ice Cream Sandwiches are the perfect treat for when the weather starts to warm up, made by using my favorite ice cream hack! If there's one thing I love about living in the south, it's the gorgeous spring weather that almost feels like summer. This past weekend, my kids ran in the sprinkler after a few hour working in our vegetable garden and then yesterday...well, yesterday was a turning point in our outdoor agenda planning for the year. Yesterday we had or first pool day of 2017! Can't beat April pool days, am I right? There are a few things that I like to do to gear up for the long-awaited days of fun in the sun that Spring and Summer bring. Once I know that the warm up is on its way, I keep an eye out when I'm shopping for sunscreen on sale, I pick up some new bathing suits for the kids (these kids grow like weeds, I tell ya! ), and I stock the fridge, freezer, and pantry with all of our favorite warm weather treats. I'll give you three guesses what our family's #1 warm weather treat is and the first two don't count. You know it's ice cream! Sunshine and ice cream go hand in hand if you ask me. Kind of like that old saying, they go together like peas and carrots, but way better and way yummier! Frozen treats are simply the best when you are enjoying time outdoors and you need a little something to cool you off. 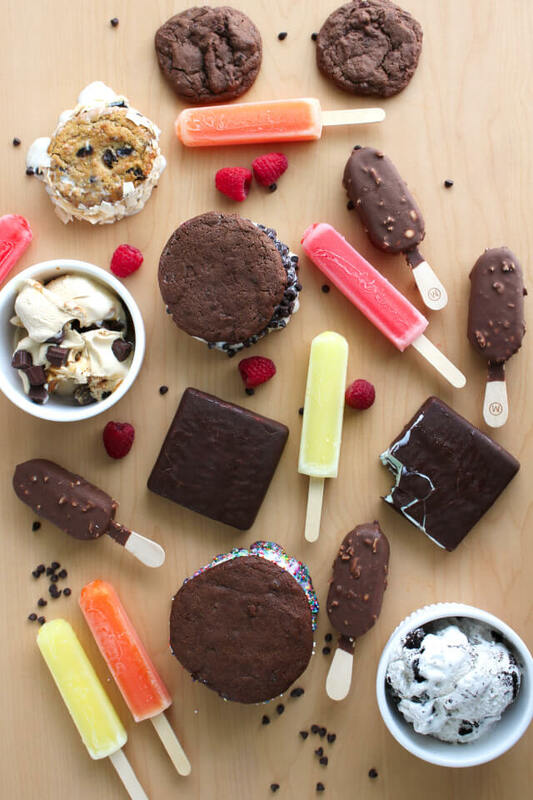 I like to buy popsicles, ice cream bars, and the regular old scoopable varieties of ice cream that are perfect for cones, which the kiddos naturally love. Heck, they love all of it! 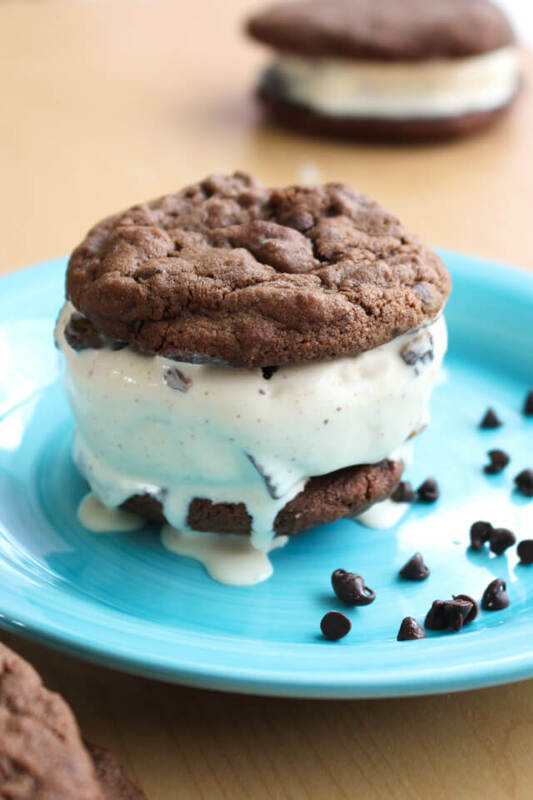 Buying ice cream by the pint is perfect for the Homemade Ice Cream Sandwiches recipe below. Why pints, you may ask? Well, if you lay a pint on its side, you can slice it into rounds that are the perfect size for ice cream sandwiches! How cool is that?! It is such a fun hack and you can mix and match cookie and ice cream varieties to make some amazingly delish combinations. 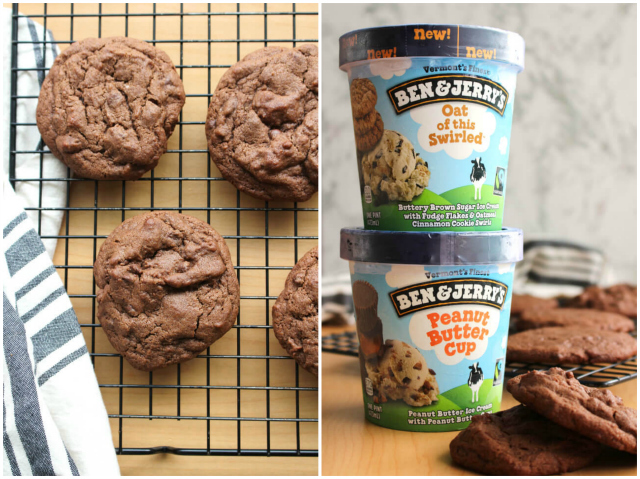 Double Chocolate Cookies with Ben & Jerry’s® Peanut Butter Cup Ice Cream rolled in mini chocolate chips. Each ice cream sandwich was totally drool-worthy. 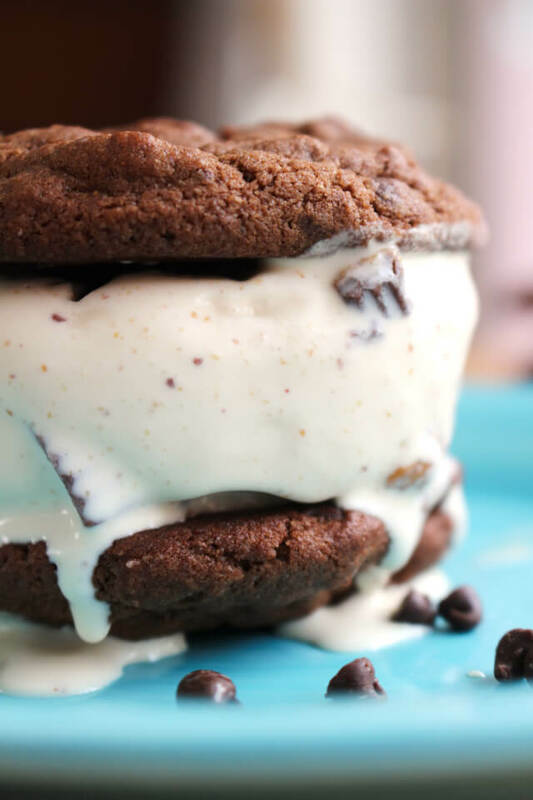 There are so many possibilities for cookie and ice cream combos, you guys! You've got to try it! You can use homemade cookies like I did, or buy store-bought cookies. Just make sure they're big ones! If you're as ready as I am to stock up for the warmer months headed our way, now it the perfect time! Unilever and Publix are coming together to offer you Sweet Treat Savings on your frozen favorites! That's a lot of good stuff, am I right? 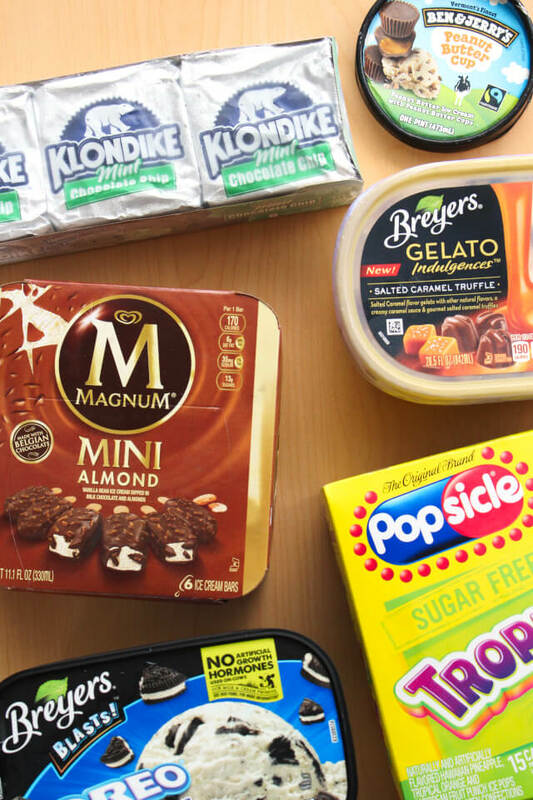 You can earn a $5 gift card to Publix for every $20 spent on all of these Unilever ice cream brands! We like saving money around here almost as much as we like our ice cream, so stocking up while the savings are sweet is a no-brainer! I scream, you scream, WE ALL SCREAM FOR ICE CREAM REWARDS! Haha! I know you'll love these ice cream sandwiches and the Sweet Treat Savings just as much as we do. 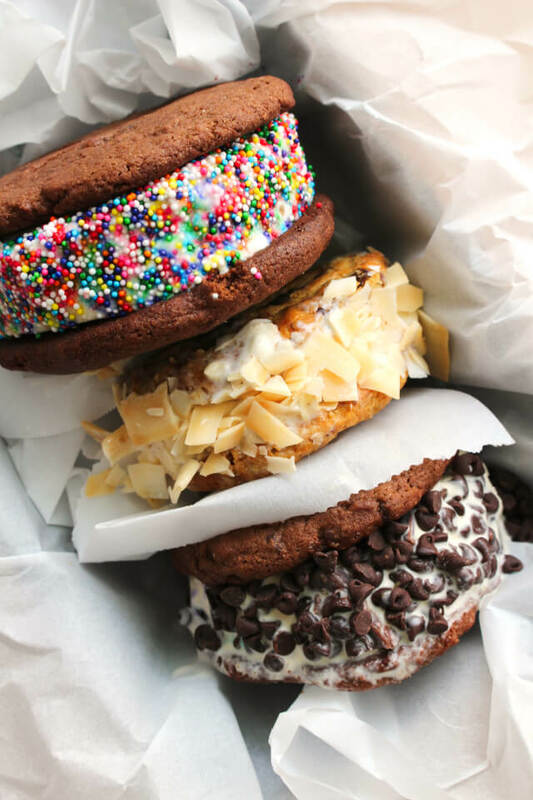 I think I may even plan an ice cream sandwich making party for the kids. Sounds like fun, right?! Bring on the warm weather and head on over to Publix today to stock up! Remove the lid from the pint of ice cream. Lay the pint on its side and carefully slice into 4-5 slices of equal thickness with a sharp knife. Place each slice of ice cream between two cookies and remove remaining piece of packaging. Garnish the outside edge of the ice cream sandwiches, if desired. Eat immediately or individually wrap in wax paper or plastic wrap to freeze. Mixing up different cookie and ice cream flavors is so much fun! You could easily make it a party activity. This post is sponsored by Mirum Shopper. Al thoughts and opinions are, as always, 100% my own. Join the conversation on social media by using the hashtag #SweetTreatSavings!